As the company grows, I want to try to venture out into new products that I can offer. Last week I offered the Top Secret password keeper form for free. The promotion went so well that I have now decided to do a weekly promotion called Freebie Friday. Each Friday I will put out a freebie download. 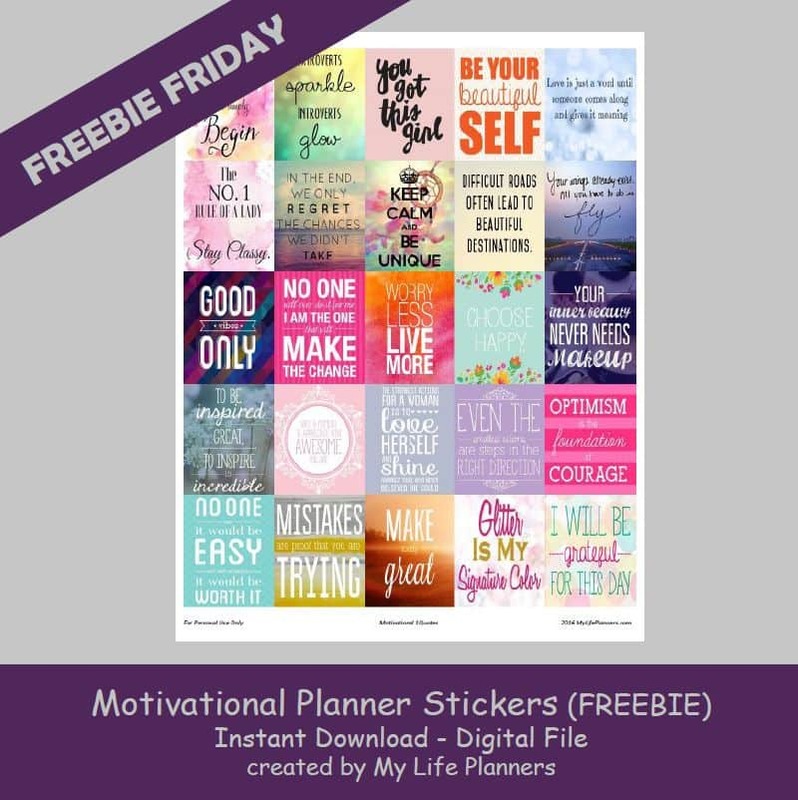 This week’s “Freebie Friday” will feature my newest product, the Motivational Planner Stickers, can be downloaded here. Planner stickers are becoming very popular and I’m sure some of you might enjoy using the stickers with your date type planners. These stickers will fit most standard size planners. Since I will soon be offering planner stickers in addition to my planners at my shop, I thought this would be a good time to introduce my first set as a freebie. Please make sure you sign up for the email list so you can stay in the loop and know when new products are posted. You will want to print the stickers out on a 8.5 x 11 full size sticker paper. I use Avery Sticker Project Paper. If you like you can print these out on regular paper and use double sided tape to attach to your planner. Enjoy these stickers and the weekly Freebie Friday. Be sure to leave me a comment and let me know how you like the stickers.